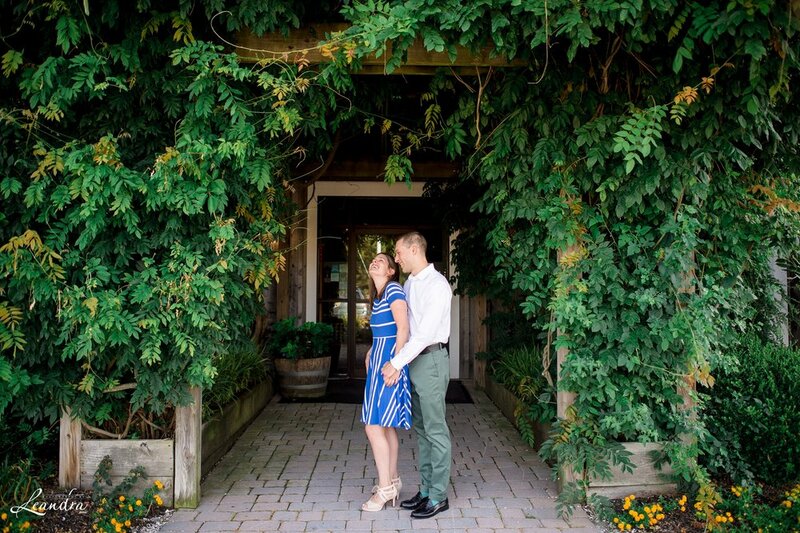 I met Hannah and Chris last year at Megan and Anthony’s Candlewood Inn Wedding in Connecticut. Hannah was Megan’s Maid of Honor and Chris was a groomsmen. When Hannah contacted me for their wedding, I was so excited! And when she told me that they wanted to have their Engagement session on the beach in Cape May, NJ I was even more excited. We decided to do a sunrise session on the beach to avoid the summer crowds and it couldn’t have been more perfect. We had the beach to ourselves and the sunrise was so beautiful. Chris proposed to Hannah on a family vacation in Martha’s Vineyard last August. They were casually taking family pictures on the beach when Chris asked Hannah to take pictures out on the jetty in front of the sunset. In the company of Hannah’s closest family Chris got down on one knee and proposed. 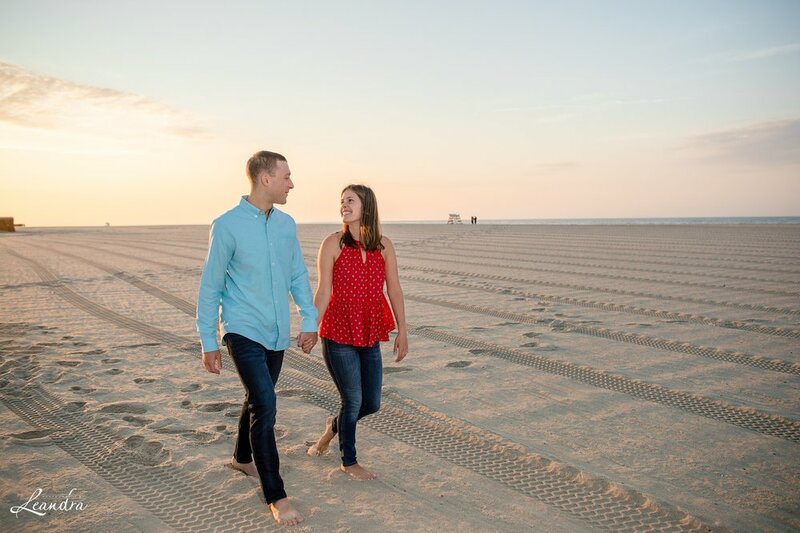 So it was awesome that we were able to incorporate the beach into their Engagement session as well. Chris and Hannah have an adorable dog named Oakley. She was so sweet and even posed for a few photos. After the beach, we decided to finish the session at the Cape May Winery a few minutes down the road. It was Chris’s idea to go to the winery and I must say, he did a great job! 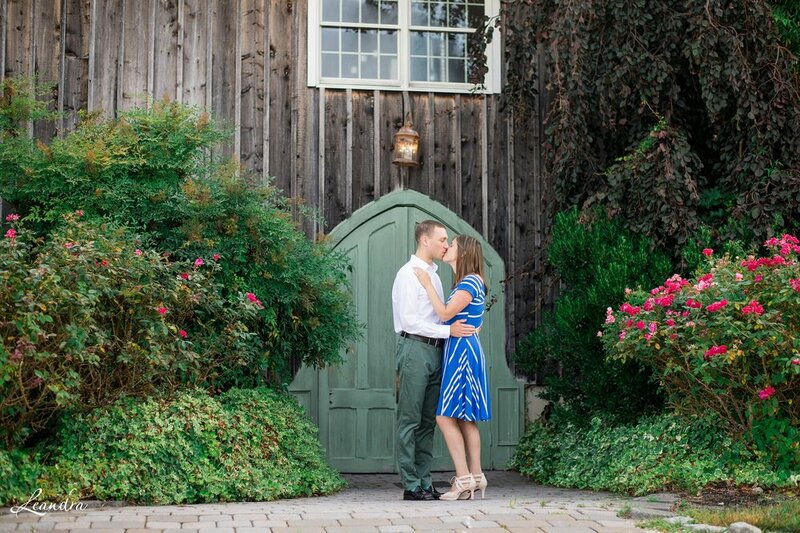 The winery was such a beautiful place for their Engagement photos. I’m looking forward to photographing these two next year as they get married at the Indian Trail Club.